CINCINNATI, OH – Despite her son’s dismal performance in the AFC Wild-Card loss to the San Diego Chargers, Tina Dalton still loves her son Andy. 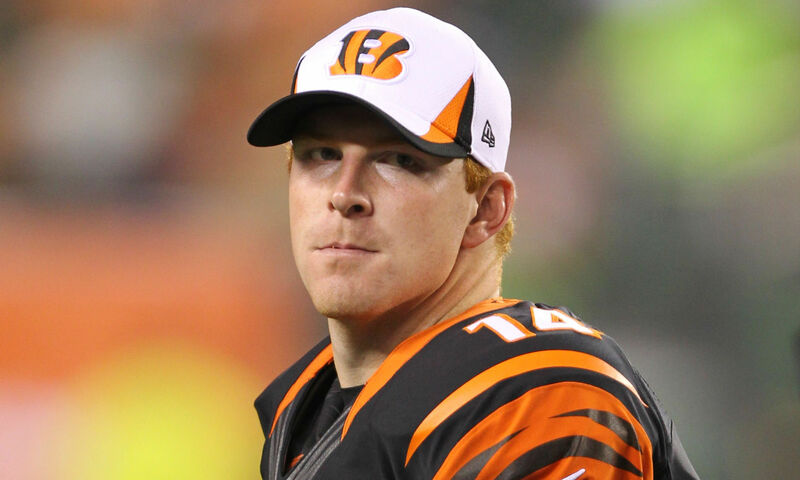 “I don’t care that he had a QB rating of 67.0, threw two picks, and fumbled once in one of the biggest games of his career,” explained Mrs. Dalton about the third-year quarterback of the Cincinnati Bengals, “I still love my boy.” Mrs. Dalton still loved Andy when he threw three picks with no touchdowns and had a passer rating of 51.4 in the 2011 Wild-Card loss to the Houston Texans and loved him even more when he had a passer rating of 44.7 in the 2012 Wild-Card loss—again to the Houston Texans. “I will always love Andy, and I know that he has a long career with the Bengals,” proclaimed the loving mother, voicing the sentiment of no one else. Andy’s father Greg Dalton also loves his son very much, though is looking at various trade options.